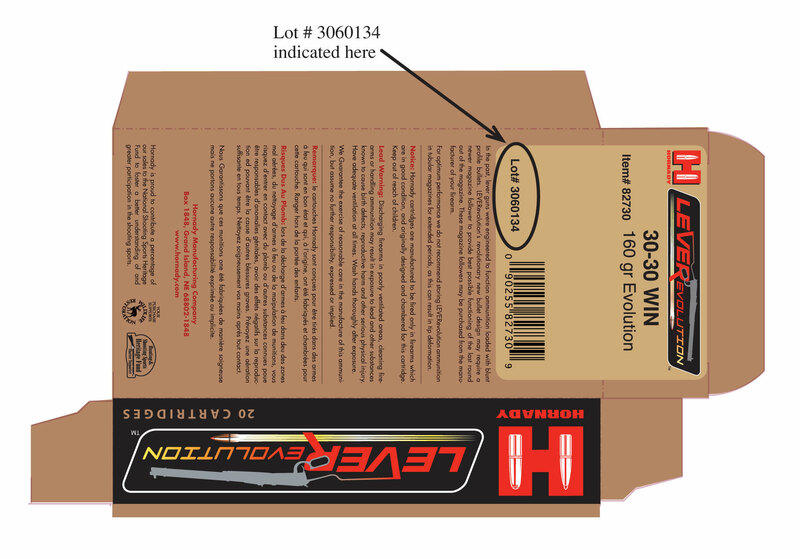 DO NOT USE HORNADY LEVEREVOLUTION™ 30-30 WIN. LOT #3060134. The lot number can be found printed on the underside of the box label.